Here’s our second NXT-R4 going into this recreational site in the Shuswap. 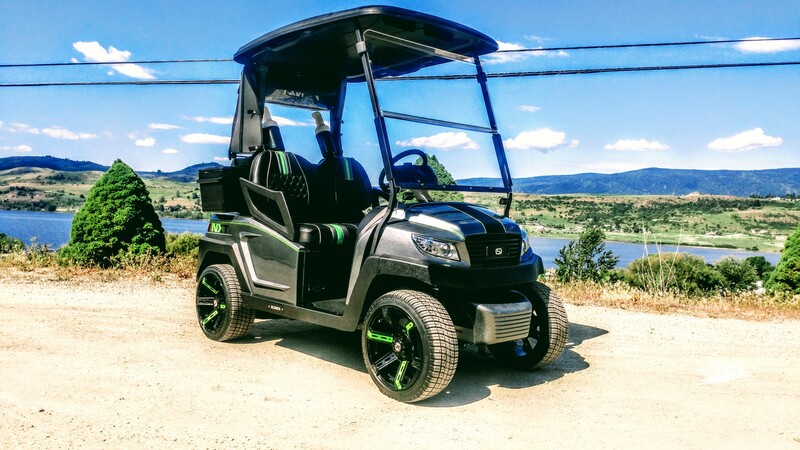 This cool buggy features custom paint, 14″ rims, bluetooth stereo and a solar charging system just to name a few! Rear roof supports were next. Solar charging wire ran internally. This cart is going to be a head turner at the resort, come back next week when you get to see the finished cart! ← Understated G2 with all the class!